Mary Wollstonecraft does not grow up in a very harmonious household. Her father is a heavy drinker and tyrannises her mother. As she witnesses and sometimes even tries to stop the abuse, it was perhaps inevitable that Mary would turn out to be one of the first feminists. At the age of 27, she writes her first article "Thoughts on the Education of Daughters" in 1786. It does not take long for people to recognise her for her remarkable writing skills. Besides writing original works, she also writes reviews and does translations. In her personal life, she also has to deal with indignities. She falls in love with a man, who leaves her just after she gives birth to their daughter. Wollstonecraft is so depressed that she tries to commit suicide twice. In 1793, she renews a friendship with the well-known philosopher William Godwin. They fall in love and marry in 1797. However, this new-found happiness does not last for a long time. Six months after their marriage, Mary gives birth to her second daughter Mary Wollstonecraft Godwin. Unfortunately, Mary is diagnosed with blood poisoning and dies ten days later. Her husband publishes Memoirs of the Author of "A Vindication of the Rights of Women" in the year following her death. In this publication, he tells all about Mary's affairs, suicide attempts and her liberal ideas about religion and sexual relations. The unfortunate result is that Mary is saddled with a scandalous reputation. It was only in the 20th century that Mary Wollstonecraft's writings become recognised as classic works, not only dealing with women's issues but also critiquing the prevailing social circumstances. Godwin is born on March 3, 1756. Before he becomes a novelist and philosopher, he serves as a minister. In 1785 however, he changes his views and becomes a convinced atheist. He has very strong beliefs which often conflict with the ruling public opinion. He strongly believes in man's individual perfectness and its ability to reason. A person should not be restricted by another person (he was therefore opposed to marriage) or any form of government. He is also in favour of the redistribution of property. He believes that each person should have enough property to fit his needs, because each man deserves a state of well-being. At that time he was considered a courageous and original thinker, although he was probably too left-wing for the larger part of the population. In 1793, Godwin writes his best-known work: The Enquiry Concerning Political Justice, and Its Influence on General Virtue and Happiness. 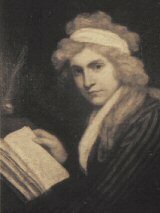 Four years later, Godwin marries feminist author Mary Wollstonecraft. A clear indication of his love for her, as Godwin disapproves of marriage. Later he states that "nothing but a regard for the happiness of the individual, which I [Godwin] have no right to injure, would have induced me to submit to an institution which I [Godwin] wish to see abolished." 3 The marriage does not last long as Mary dies six months later of complications from the birth of their daughter. In 1801, Godwin marries again, this time to Jane Clairmont. Besides writing for adults, he also writes books for children. The rest of his time he is devoted to publishing the work of others. 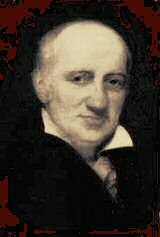 William Godwin dies in London in 1836. 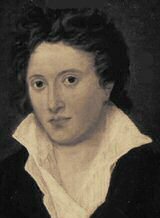 In 1792, Percy Bysshe Shelley is born into a conservative, aristocratic family. It was obvious from a very early age that Shelley would not follow the same conservative path in life. While studying at Oxford University, he decides to dedicate his life to fighting injustice and oppression. In 1810, after being expelled from Oxford, Shelley goes to London where he marries the sixteen-year-old Harriet Westbrook. He quickly becomes a disciple of William Godwin, a radical social reformer. In 1813, Shelley prints his first important work, "Queen Mab", which describes "religion and codified religion as the roots of social evil." 4 The following year, Shelley falls in love and runs off with Godwin's daughter, Mary. His family and friends who already thought of him as a revolutionary and an atheist, now also regard him immoral. In times of the greatest despair (the death of their two children), Shelley writes his greatest works, including "Prometheus Unbound" (1819), and the tragedy "The Cenci". Just before his death in 1822, Shelley regains some joy in life. This was mostly thanks to a small group of friends that gathers around him. Percy Shelley dies unexpectedly. When he and a friend are on a sailing trip, they are caught by a heavy rainstorm. The ship sinks and Shelley drowns on July 8, 1822. Shelley's work is now regarded as one of the greatest of all English poets, although some find his poems too pretty and over-sentimental. Encarta '95. CD-ROM. United States of America: Microsoft Corporation, 1994. 1 "Mary Wollstonecraft Shelley", The Norton Anthology of English Literature, ed. M.H. Abrams, 6th ed., vol. 2 (New York: Norton, 1993) 844-847. 2 "Mary Wollstonecraft Shelley", The Norton Anthology of English Literature, ed. M.H. Abrams, 6th ed., vol. 2 (New York: Norton, 1993) 844-847. 3 Muriel Spark, Mary Shelley (New York: Meridian, 1988) 10. 4 "Percy Bysshe Shelley", The Norton Anthology of English Literature, ed. M.H. Abrams, 6th ed., vol. 2 (New York: Norton, 1993) 643-647. 5 "Percy Bysshe Shelley", The Norton Anthology of English Literature, ed. M.H. Abrams, 6th ed., vol. 2 (New York: Norton, 1993) 643-647.